“I’ll just look it up on Amazon...” a phrase that hairstylists have learned to loathe, when it comes to discussing professional haircare products with their clients. I too am a bargain shopper and love all of the benefits that my Prime account has to offer. However, I will let you in on three reasons to close the laptop and leave all of your hair care needs up to the professionals. I’ll begin with The Gray Market. The Gray Market includes counterfeit, stolen, compromised diverted or outdated products that are legally sold without guaranteed authenticity. The Gray Market dominates websites like Amazon and Hautelook, as well as drug stores and flea markets. Additionally, an estimated 10% of failing salons sell unsold merchandise or old containers, which may then be recycled, reprinted, or diluted with alcohol or water, and sold for full price. Professional salons receive weekly orders of authentic products, straight from the manufacturer, backed with a money back guarantee. Don’t waste your hard earned cash on anything but the real deal! Next I will discuss the value of supporting local businesses. Most boutique salons are small business that are locally owned and operated. Even if the salon is a chain, your stylist likely receives a commission on all products sold. I, for one, like the idea of supporting my local community by knowing that a portion of the cost of my product purchase goes into my stylists paycheck, rather than the dark abyss of Amazon or The Gray Market. Yes, free shipping is convenient but not as convenient as buying it at your appointment with the guidance of a professional stylist. With thoughtful budgeting for your next trip to the salon, you can also cut down on waste when it comes to shipping containers, lowering your carbon footprint. Finally, did you know that product sales can provide points towards valuable education for your stylist? Big name companies like Redken, Bumble & Bumble, Kerastase, ect., operate with salons on a point system. 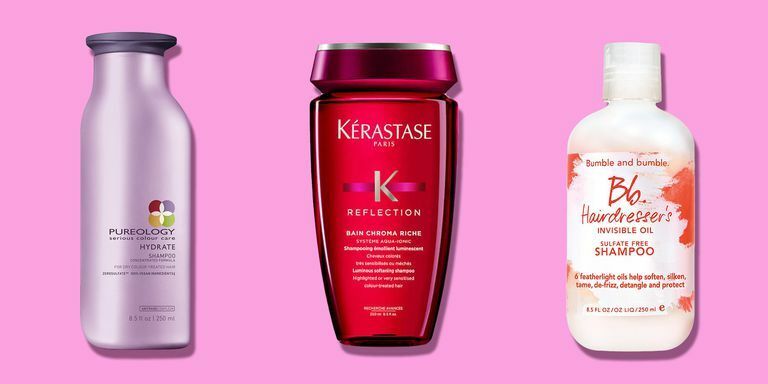 The more products sold—the more points the salon earns. Points can then be redeemed for further education within the salon. Why is this so important? As you know, fashion trends change very quickly and you do not want to be left in the wind with frosted tips and a poodle perm, do you? It’s best to rely on a well-educated professional to guide you through the ever revolving doors of modern fashion, and to let you know when your look may need an update. The next time you are tempted to Prime your way to haircare savings, rather than purchase from your trusted salon, remember these three important reasons why you should not “just look it up on Amazon”.